I was genuinely surprised by this award, and I want to thank Dreaming of Melville for even considering my blog. I think these awards are important for not only recognizing our fellow bloggers work but also exposing us to new blogs that we might have otherwise never come across. Thank the person who nominated you for this award and provide a link to their blog. 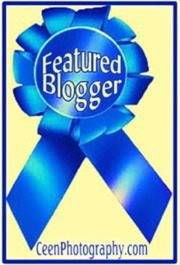 Select fifteen other bloggers to give this award. Comment on each blog and let them know you nominated them and provide the link to the post you created. When I started blogging in 2012, I didn’t consider myself a blogger. In some regards, I still don’t consider myself one. My journey into blogging began as a challenge to myself and also as a way of sharing information with like-minded individuals or anybody else for that matter who happened to stumble across it. I challenged myself to only making posts that I believed to be beneficial to my audience. Know your purpose for blogging and stick to it. Try to keep your posts to a reasonable length. I think 500-800 words on average is great (I start losing interest after that). There are times when you might have to write some 1000 words post, but I don’t think that should be the norm. Post frequency is also important. Some people post multiple times per day, and I think that is too much. It can be especially distracting if your followers have email notifications enabled. That’s three more notifications added to the myriad we receive daily from social media and other applications and websites. Interacting with your fellow bloggers is key (I wish I started doing that sooner). Follow, like, comment and share, but most of all have fun! This entry was posted in Blogging Recognition. Tagged Awards, Blogging, wordpress.